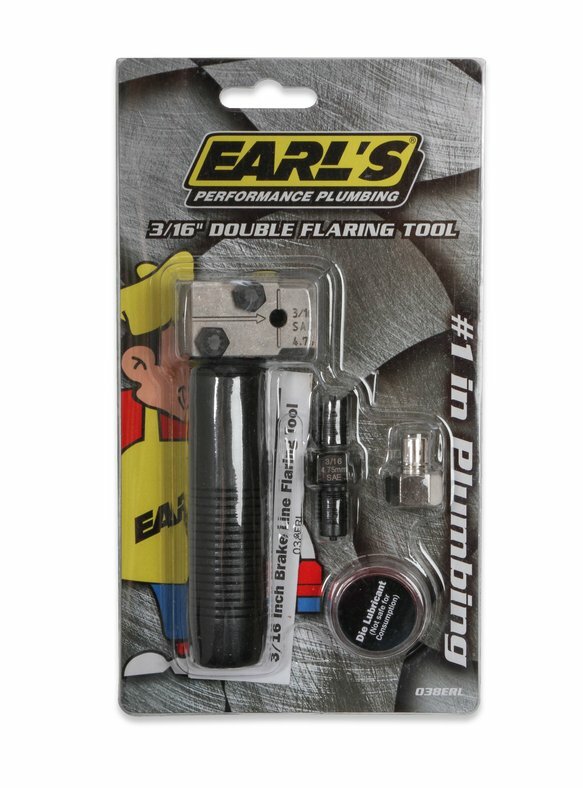 Earl's new 3/16" 45° Double Flaring Tool is small enough to allow on-vehicle use (the rubber grip can also be removed for use with a shop vise). 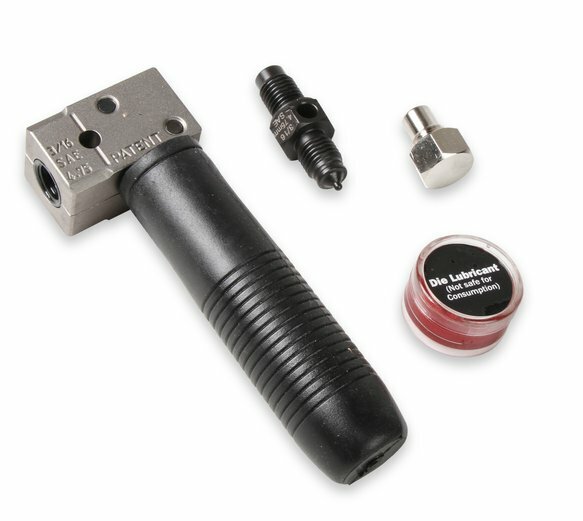 This tool comes with die lubricant, and a positioning bolt that lines up the tubing at the correct depth to product high quality single or double flares. 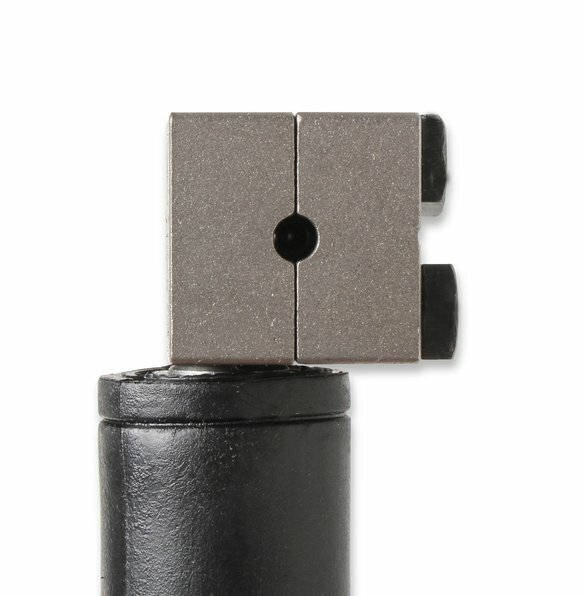 Ideal for use with steel, olive, copper, and Easy-Form (copper/nickel alloy) hardline tubing. 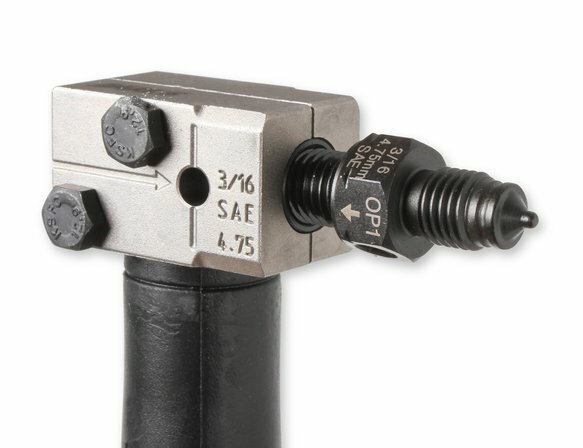 Quality flaring tool at a great price.